Minnesota Grown is very proud to help sponsor Minnesota Farmers Union's "Farm Fresh Road Trip". Host Mary Lahammer travels the state to show you farmers and chefs working together to further the local food movement. Throughout the half hour show, you will see many specialty crops featured. The "Farm Fresh Road Trip" is an Emmy® winning production! Have you seen it yet? Click here to watch the full episode. There are lots of Minnesota Grown specialty crops featured in these segments. 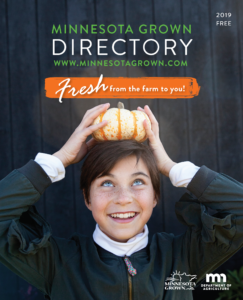 Check out the Minnesota Grown Directory to find a producer near you!